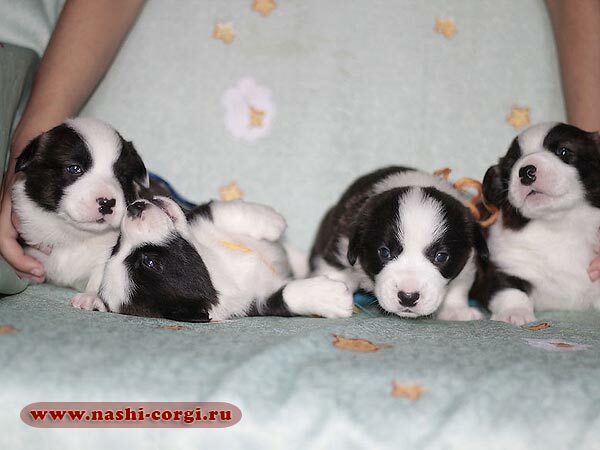 We have new photos of our puppies at the age of 45 days! 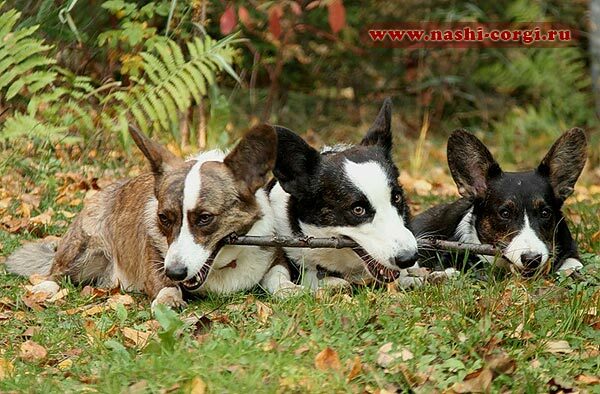 Look for them on the page of litter G.
Our congratulations to the son of our Bob and grandson of our Avva - brindle boy Sava (Zamok Svyatogo Angela SAVELIY) with his first children! 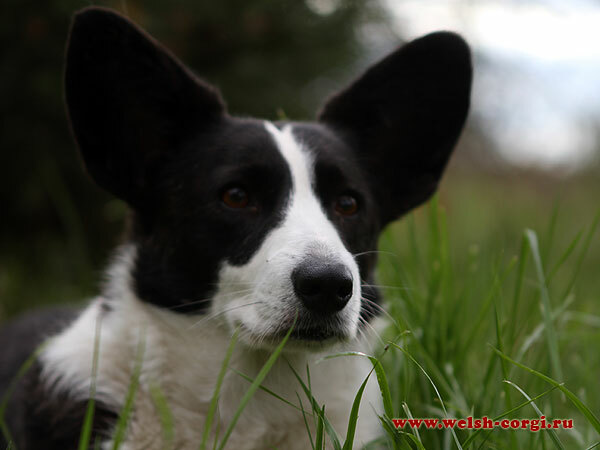 The daughter of Savva, tricolor girl Taormina La Bella is looking for the new home! 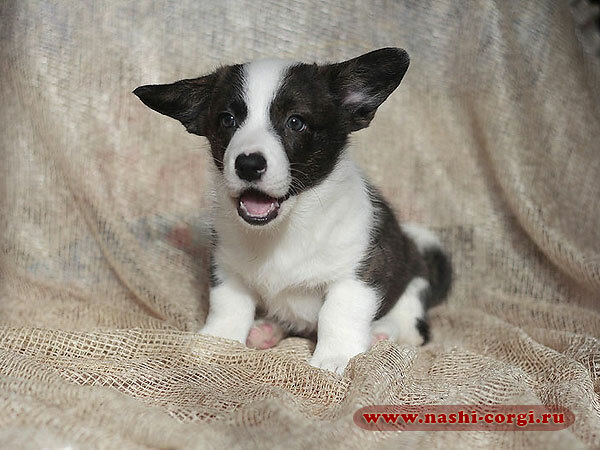 Look for her photos and pedigree at website nashi-corgi.ru in Puppies section. 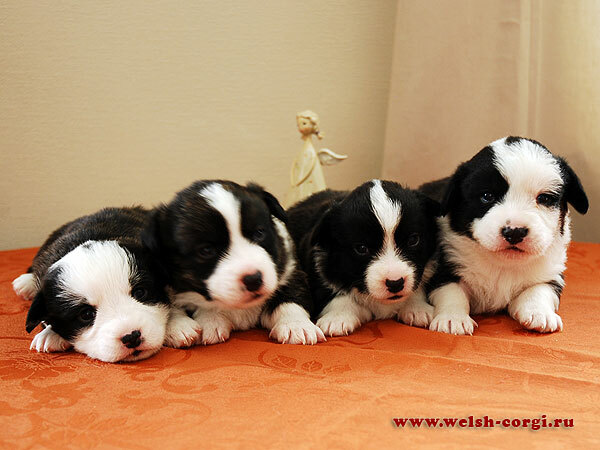 We have first photos of our puppies at the age of 22 days! 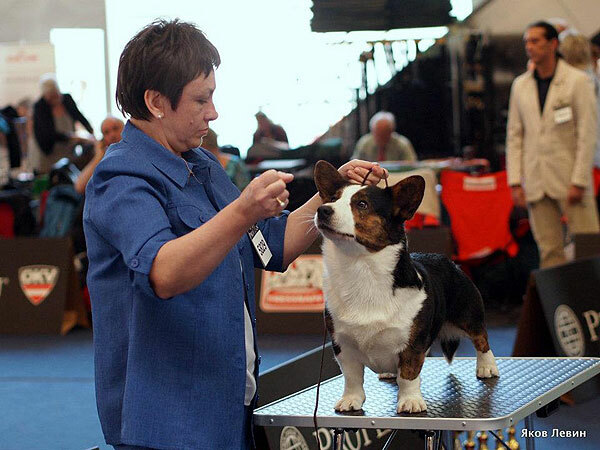 Look for them on the page of litter G.
At the middle of November the son of our Natan and Zhuzha welsh corgi cardigan Fiko (Zamok Svyatogo Angela FEDERIKO) attended 2 International dog-shows in Zagreb (Croatia) where he became Champion of Croatia, Zagreb Winner 2012, received CACIB and completed the title of INTERCHAMPION! 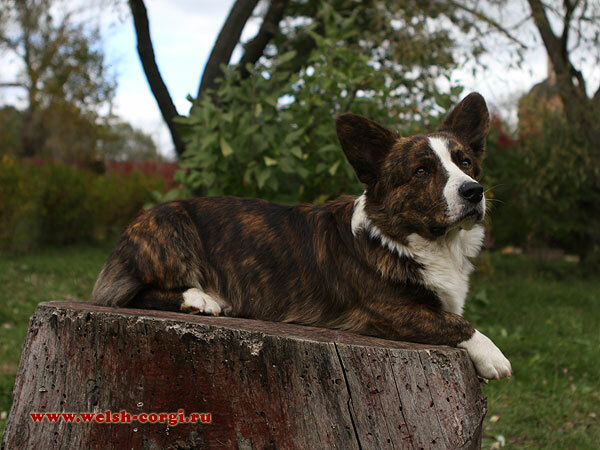 Our congratulations to Fiko and his owners Anna and Vasiliy! 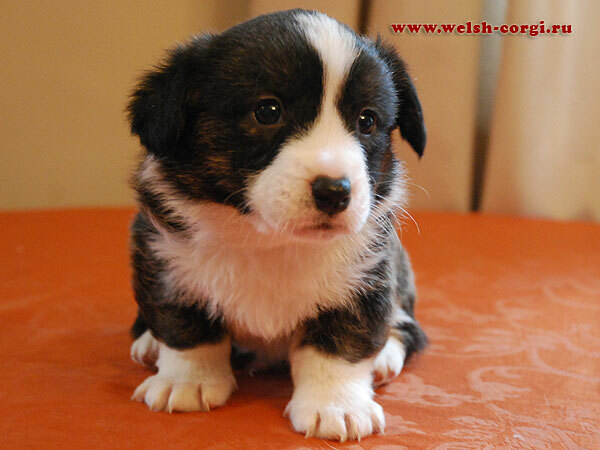 Our congratulations to brindle daughter of our Klim (Zamok Svyatogo Angela SIMON) and Iriska (Zamok Svyatogo Angela PILAR) - Fannie (Zamok Svyatogo Angela YAKOVA) - with excellent dog-show debute at welsh corgi speciality which was took place on the 02.12.2012 in Moscow! Thanx to the owners of Fannie for nice showing of the girl. 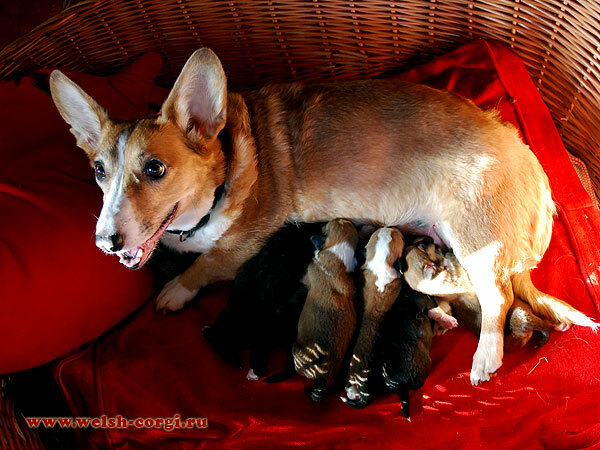 On the 11th of November 7 puppies were born in our Kennel! 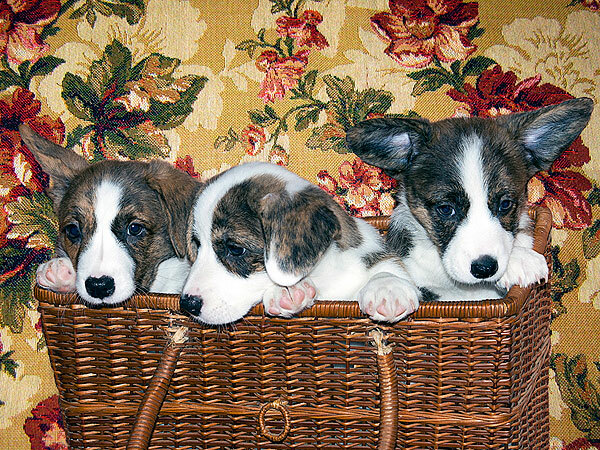 Father of the puppies - our brindle Klim (Zamok Svyatogo Angela SIMON), Mother - red&white Alisa (CONTRAVERSIA Z Ticheho Udoli, Czechia)! 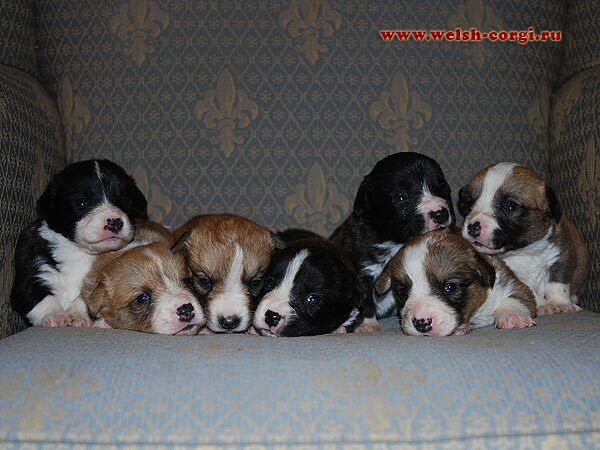 We have 7 puppies: 1 red&white and 1 brindle girls, 3 red&white and 2 brindle boys! 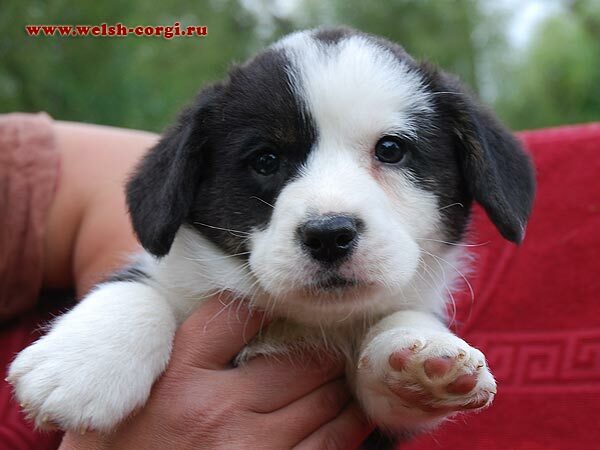 We will show the first photos of the puppies very soon! 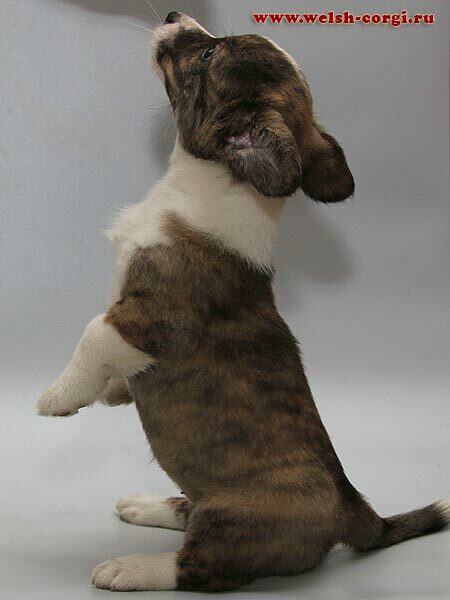 Meet brindle beauty Fanny (Zamok Svyatogo Angela YAKOVA) - daughter of our Klim (Zamok Svyatogo Angela SIMON) and Iriska (Zamok Svyatogo Angela PILAR)! 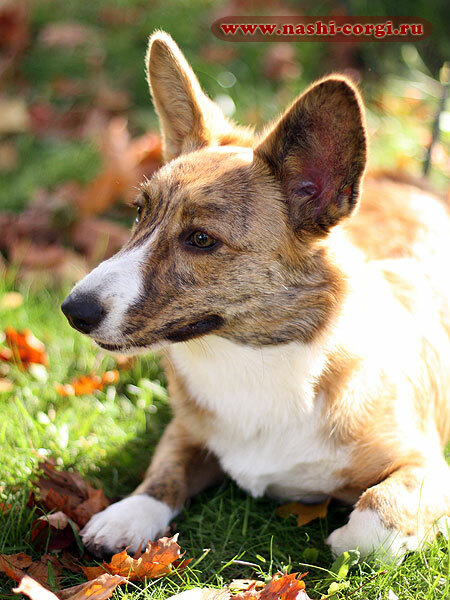 Thanx to the owners of Fanny for nice photos of the girl. 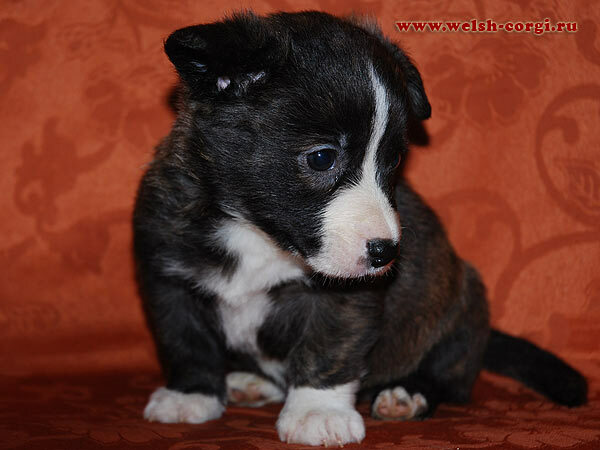 Brindle son of the daughter of our Natan and Zhuzha Himma (Zamok Svyatogo Angela HIMMA) is looking for the new home! 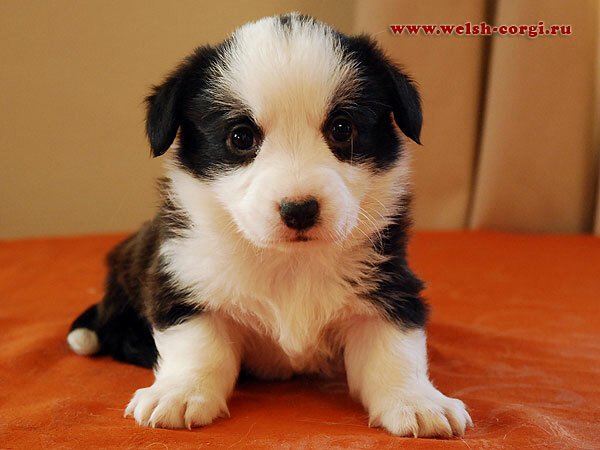 Please, find pedigree and photos of the puppy in "Puppies" section! Our congratulations to Himma (Zamok Svyatogo Angela HIMMA), the daughter of Natan and Zhuzha and granddaughter of our Avva with the first children! 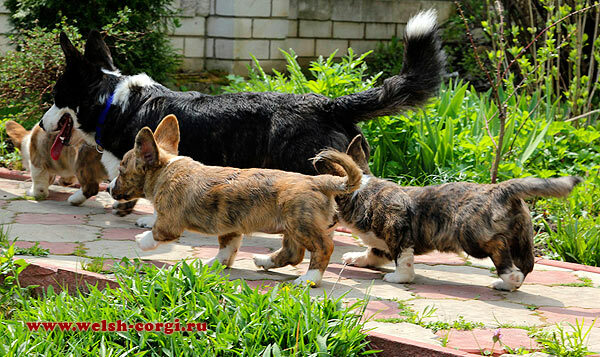 On the 19.08.2012 Himma gave birth to 4 brindle boys out of brindle URODZINOWY UPOMINEK Controversia! Our grandchildren are very nice boys and we congratulate with them Julia, the owner of Himma, also! Thanks for your love to our daughter Himma! 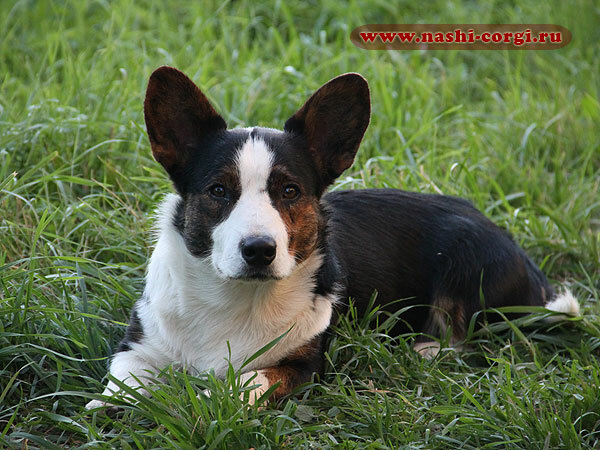 Also our congratulations to Julia, who have registered dog breeder name and Himma's children have "surname" - Favorit Sibiri! 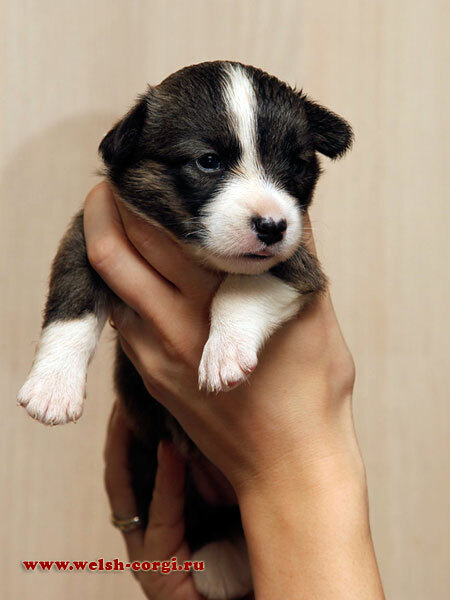 You can find more information about the puppies at the page of Himma's litter and here in the Puppies section. 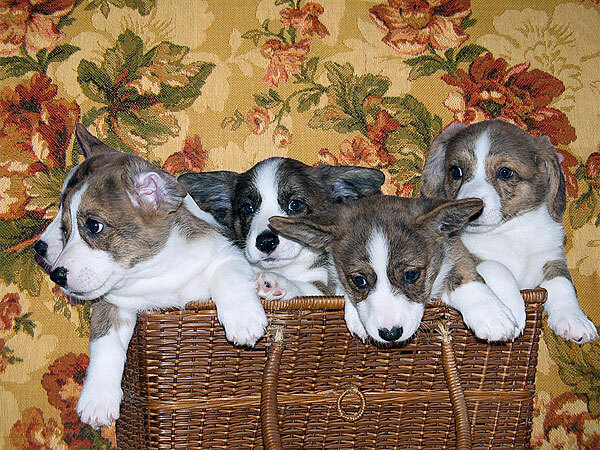 Puppies are looking for the new homes! 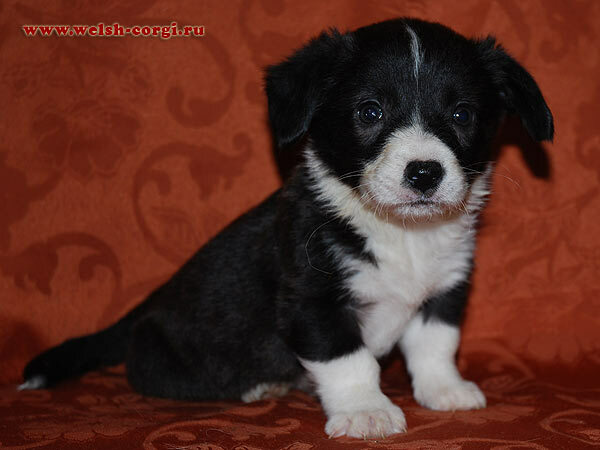 Also, I want to thank Natalia and Pavel (the owners of children's father) who took the puppy which I brought from the Poland, are taking good care of him, showing him and gave me a chance to have such nice grand-grandchildren! 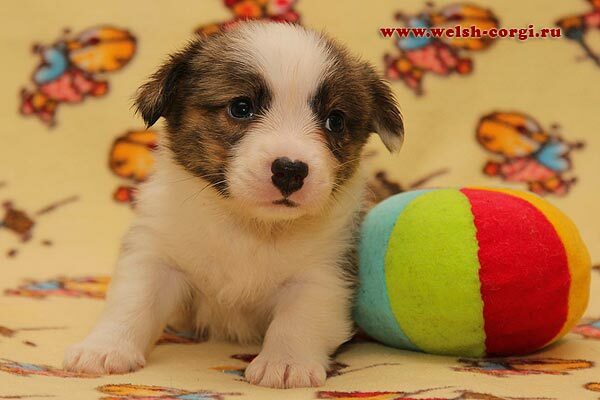 And thanks to Dorota Paz - the breeder of children's father - for this handsome boy! Also we have a few photos of Himma and her mother, sisters and grandmother in our Photoalbum! 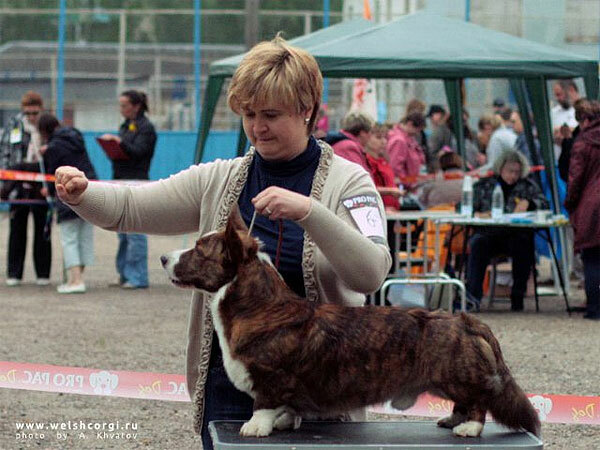 Our congratulations to the son of our Natan and Zhuzha welsh corgi cardigan Ron (Zamok Svyatogo Angela HARON), who attended 2 dog-shows in Montenegro, twice won 1st place in class, received R.CACIB and became Champion of Montenegro! 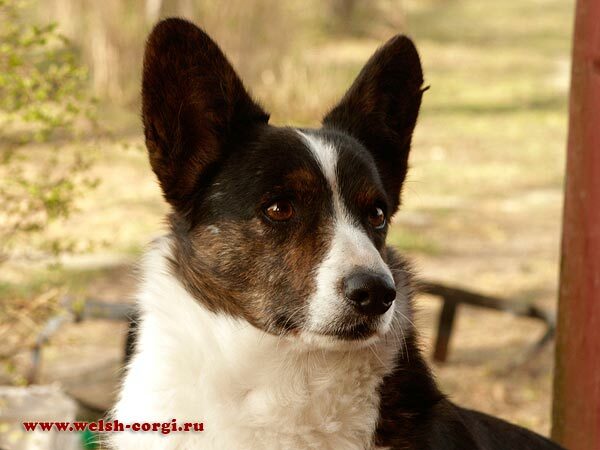 Thanx to his owners Natalia and Pavel! 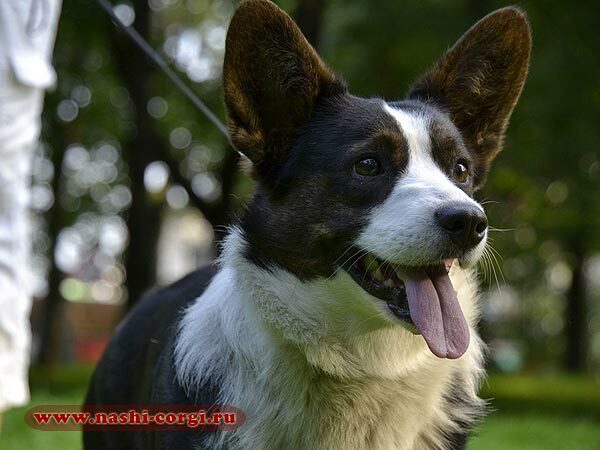 Last weekend the son of our Natan and Zhuzha welsh corgi cardigan Fiko (Zamok Svyatogo Angela FEDERIKO) attended 2 International dog-shows in Minsk (Belarus) where twice won 1st place in champion class, received CACIB and R.CACIB and became Champion of Belorussia! 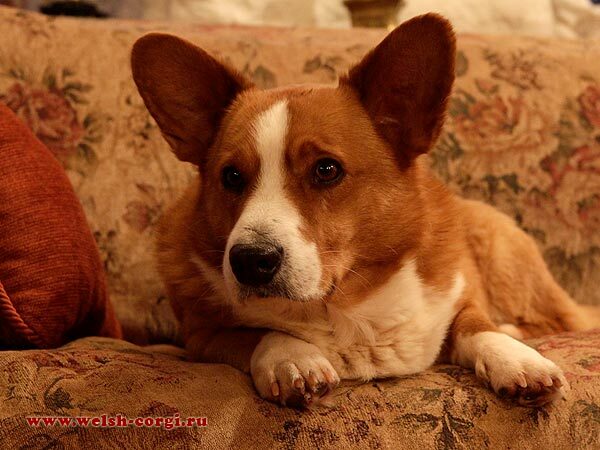 Our congratulations to Fiko and his owner Anna! 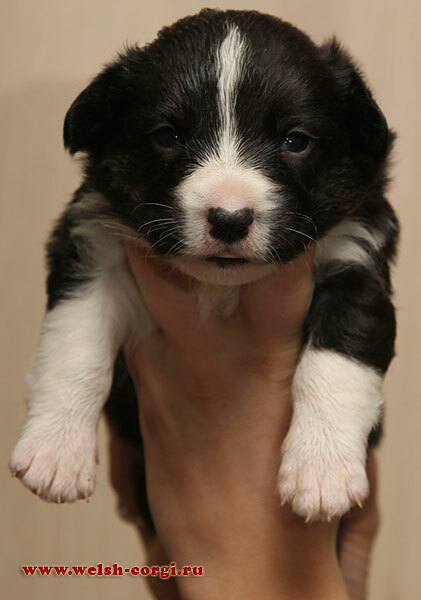 Look for the new photos of our puppies (Zamok Svyatogo Angela SIMON x Zamok Svyatogo Angela LUNA) at the age of 44 days! 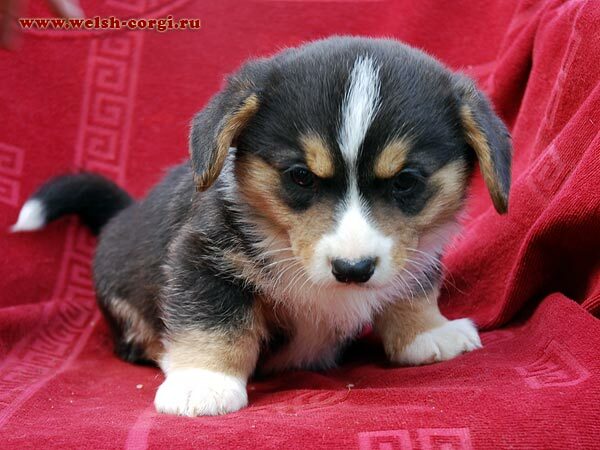 Pedigree and photos of the puppies at the page of A Litter. 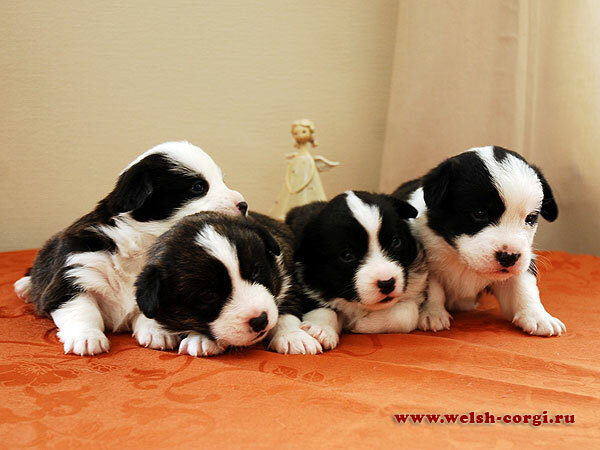 Look for the new photos of our puppies at the age of 1 month nad 13 days! 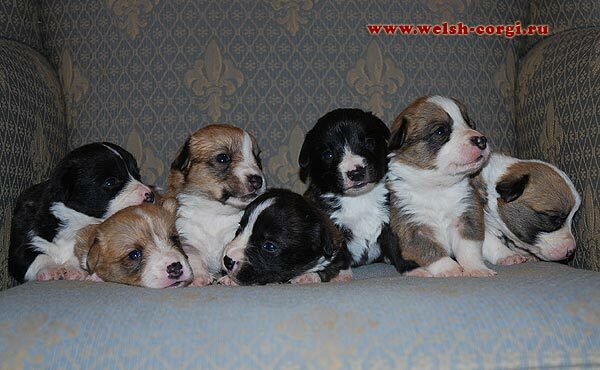 Pedigree and photos of the puppies at the page of B Litter. 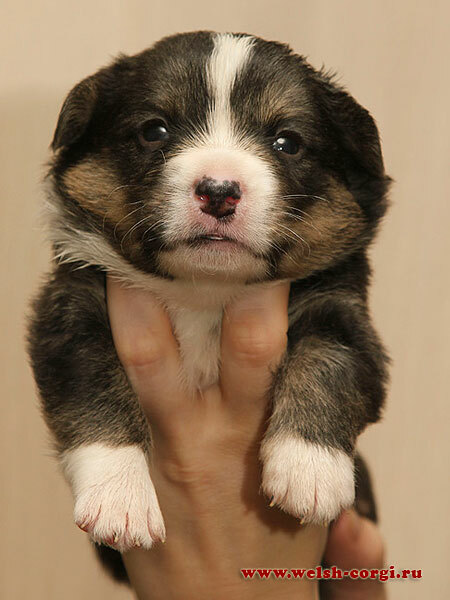 Our congratulations to the son of our Natan and Zhuzha welsh corgi cardigan Fiko (Zamok Svyatogo Angela FEDERIKO)! It was very good summer for him: he became Champion of Moldova, Champion of Cyprus, Champion of Montenegro, Champion de la Mediterranee, Champion of Estonia! 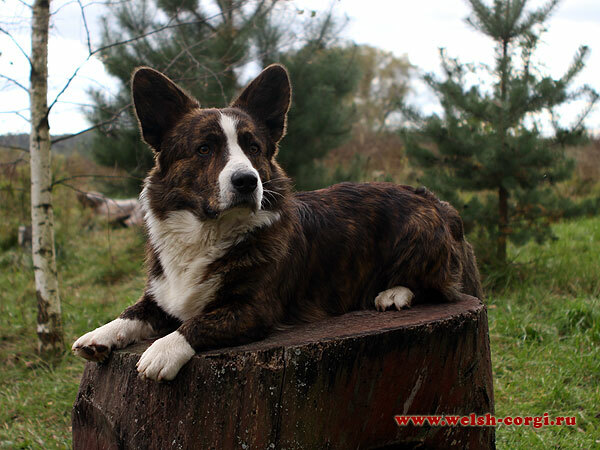 Also Fiko got 3xCACIB and passed behaviour test for breeding with excellence! 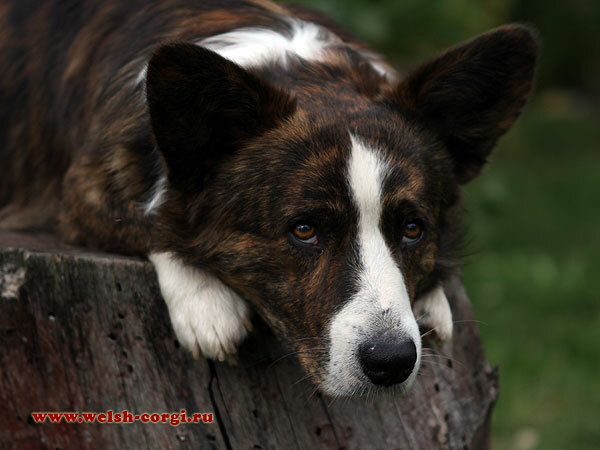 Look for the new photos of the uncle of Fiko, our New Zealand boy Bob (Rodwell PURE ENERGY) at his page! 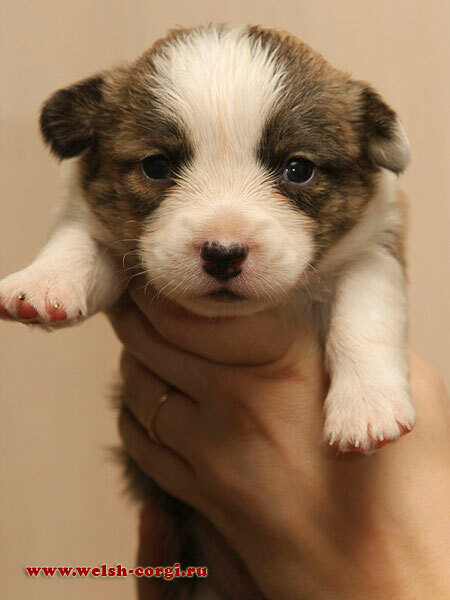 Look for the new photos of our puppies at the age of 1 month! They are growing and changing very fast! 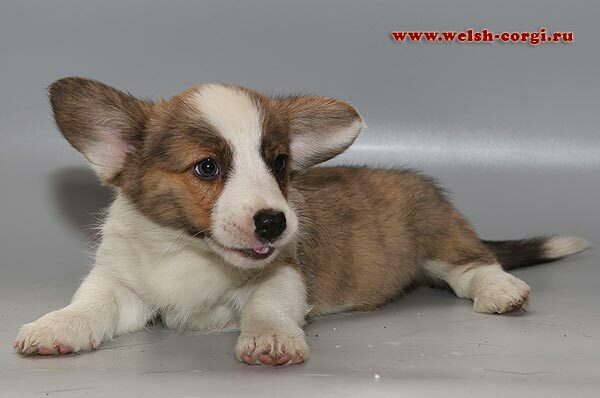 Our puppies are 3 weeks now and we have their first photos! 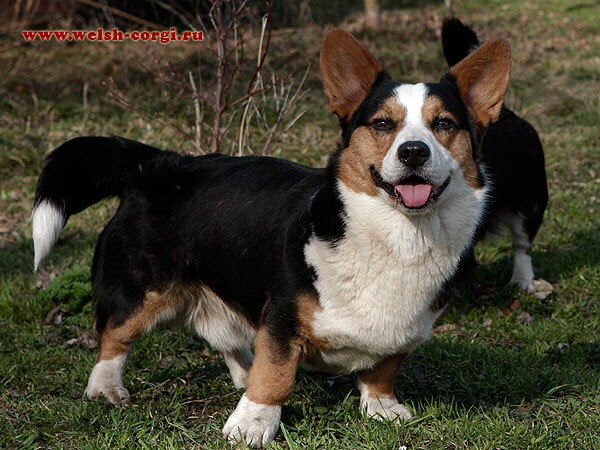 Our congratulations to welsh corgi cardigan Savva (Zamok Svyatogo Angela SAVILIY) who became Champion of Estonia, Estonian Winner'12 and completed the title of Russian Club Champion! 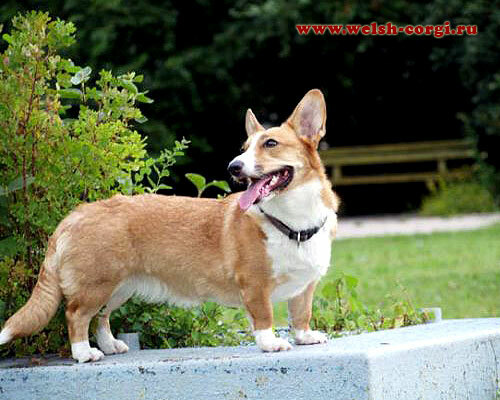 Our congratulations to welsh corgi cardigan Ron (Zamok Svyatogo Angela HARON) who became Champion of Latvia! 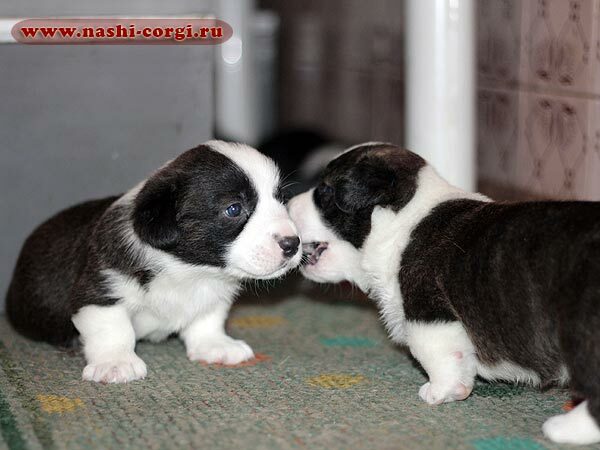 On the 09th of July our daughter Zhuzha (Zamok Svyatogo Angela LUNA) and our grandson Klim (Zamok Svyatogo Angela SIMON) gifted us 4 puppies - 2 girls and 2 boys! 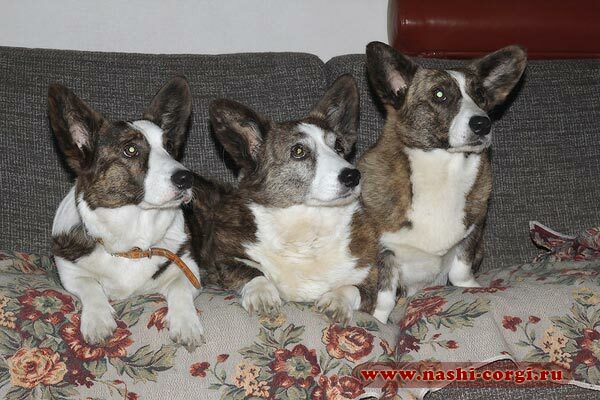 On the next day, on 10th of July, our Ada (MANJU JEWEL Controversia) and Natan (Rodwell FLASH OF FIRE) gifted us 4 puppies (2 girls and 2 boys) also! Look for the new photos of our Zhuzha (Zamok Svyatogo Angela LUNA)! 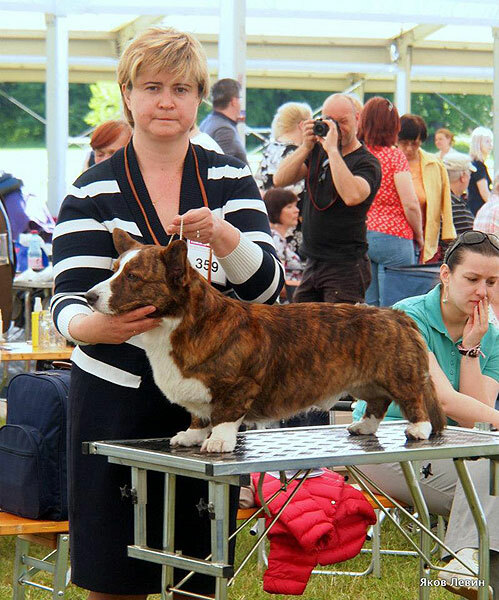 02.06.2012, Minsk (Belorussia), International dog-show, judge - Alexander Soroko (Belorussia). 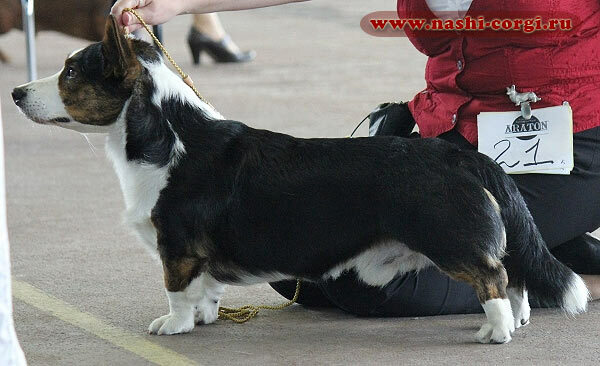 Zamok Svyatogo Angela SIMON (Rodwell PURE ENERGY x Zamok Svyatogo Angela ISIDA) - CW, CAC, R.CACIB! 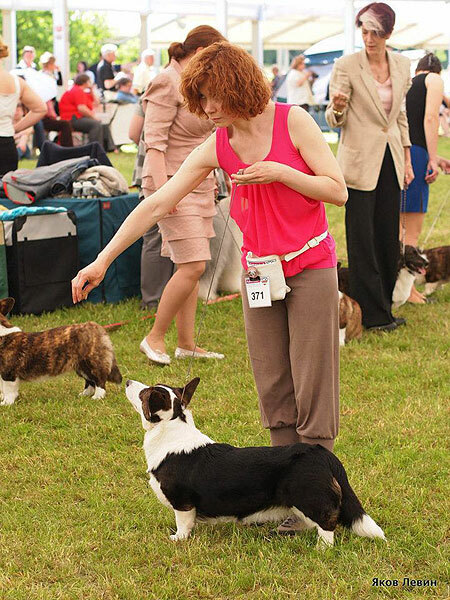 03.06.2012, Minsk (Belorussia), International dog-show, judge - Nikolay Sedykh (Russia). 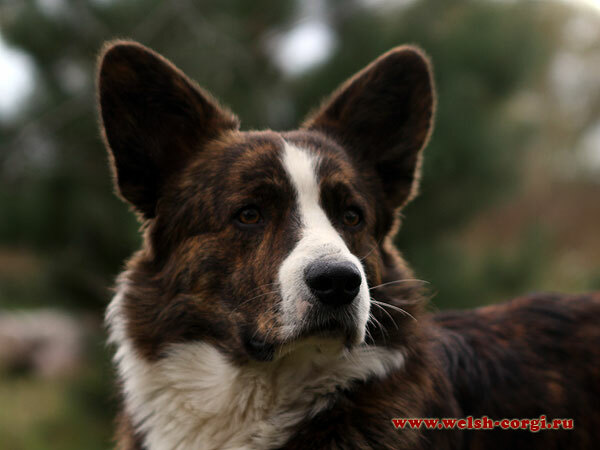 Zamok Svyatogo Angela SIMON (Rodwell PURE ENERGY x Zamok Svyatogo Angela ISIDA) - CW, CAC, CACIB, Best Dog, BOB, Champion of Belorussia! 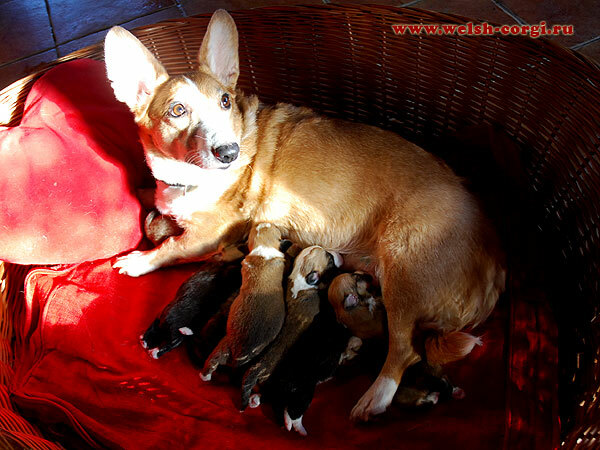 On the 26th of March the daughter of our Bob and grandaughter of our Avva red beauty Junona (Zamok Svyatogo Angela SIMONA) gave birth to 7 excellent puppies out of our godson Bernard (UWAGA URWIS Controversia). Our congratulations to Junona's owners Tatiana and Valery! 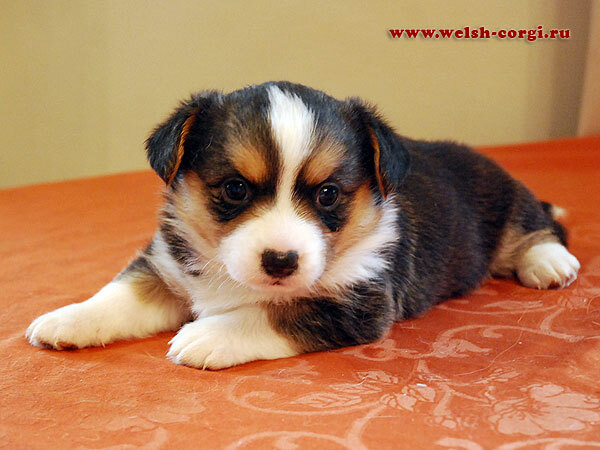 They have 3 our daughters and 7 our grandchildren for now! 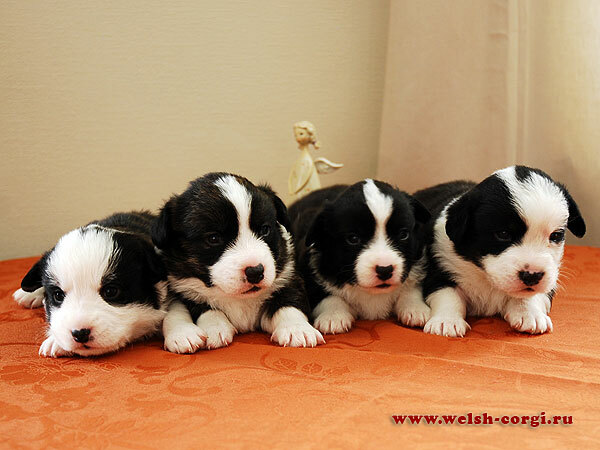 Tatiana and Valery have registered dog breeder name and Junona's children will have their own "surname" - Cardiganpark! 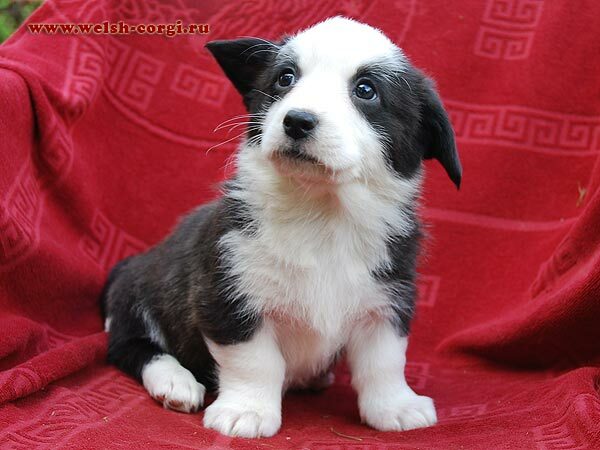 You can find more information about the puppies at the page of Junona. 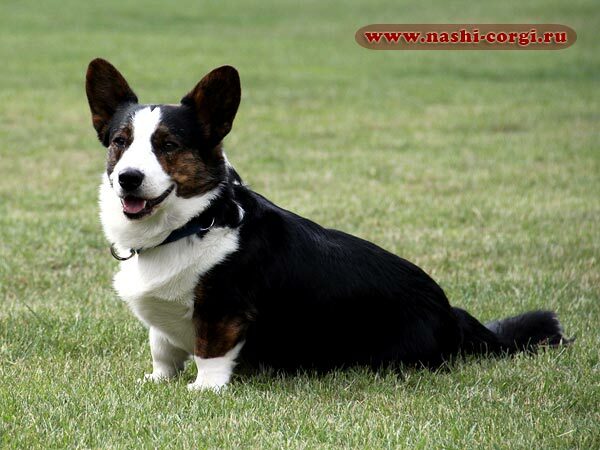 Congratulations to our children who participated in World Dog Show 2012 with nice results! We are proud of you! 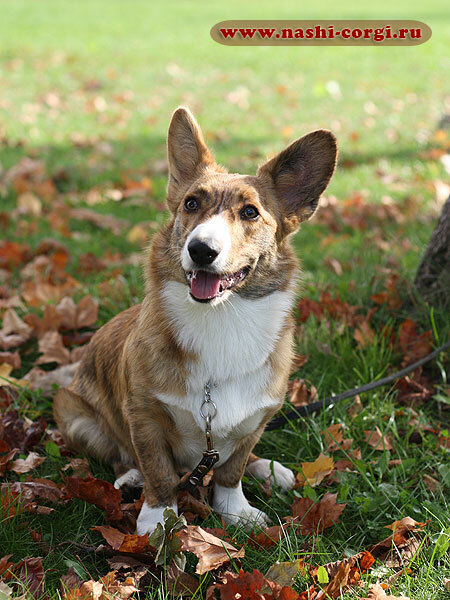 Thanks to owners who love and show our babies! 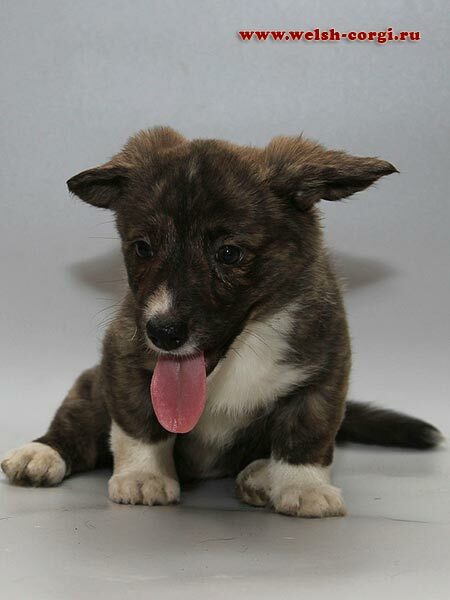 We have new photos of our puppies (Zamok Svyztogo Angela SIMON x Zamok Svyztogo Angela PILAR) at the age of 2,5 months! 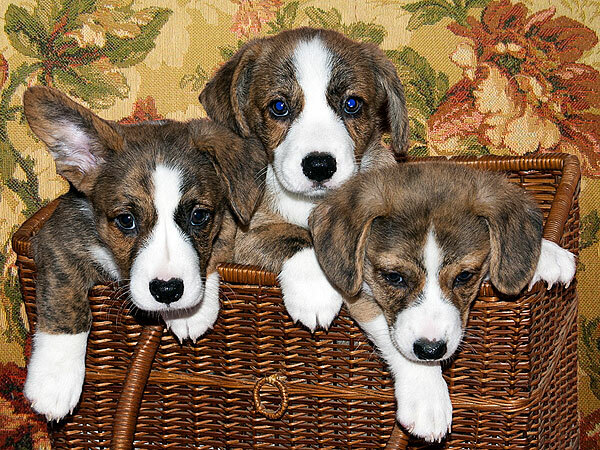 2 pretty girls and 1 handsome boy are looking for the new homes! 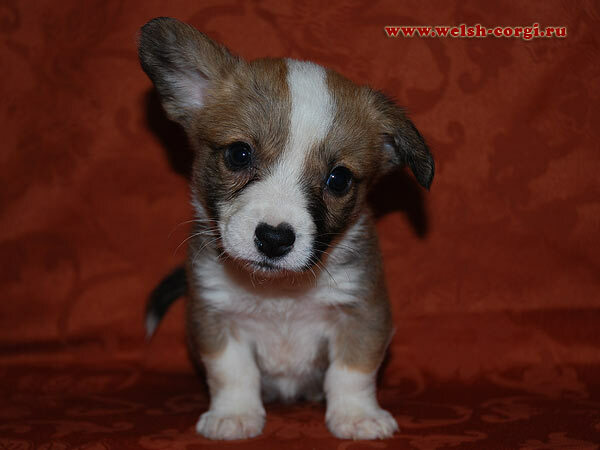 Look for the new photos of the puppies at the page of "YA" litter! 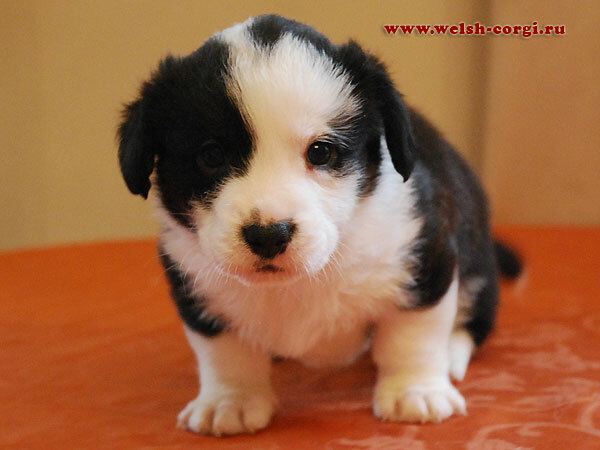 Our congratulations to all our puppies with excellent results at Welsh corgi Speciality on 09.05.2012! 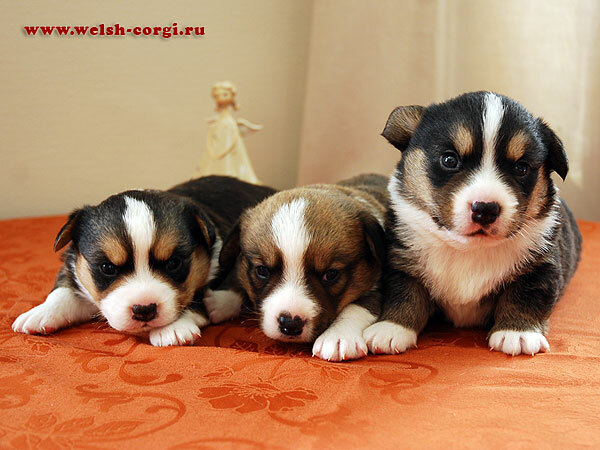 We have new photos of our grandchildren, puppies out ofour Klimentiy (Zamok Svyztogo Angela SIMON) and Iriska (Zamok Svyztogo Angela PILAR) at the age of 1 month and 23 days! 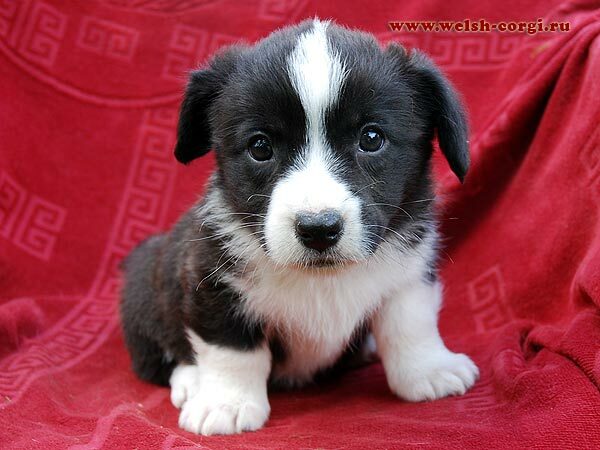 Look for the pedigree and photos of the puppies at the page of "YA" litter! 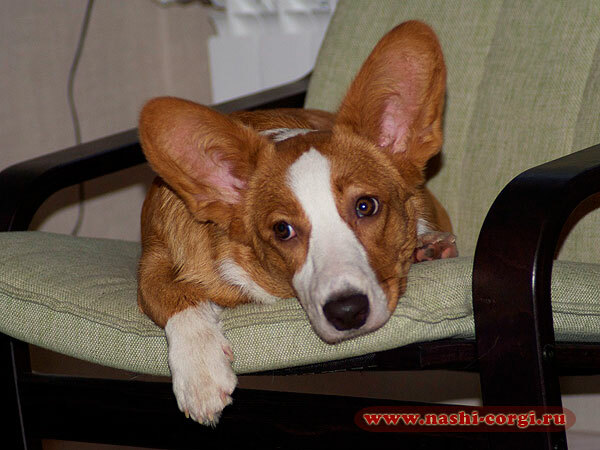 Meet handsome welsh corgi cardigan boy Charly (Zamok Svyatogo Angela CHARLY), theson of our Natan and Natella! 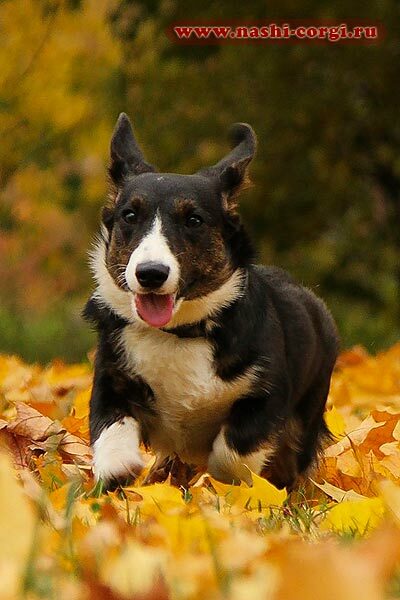 Thanks to his owners for wonderful photos! 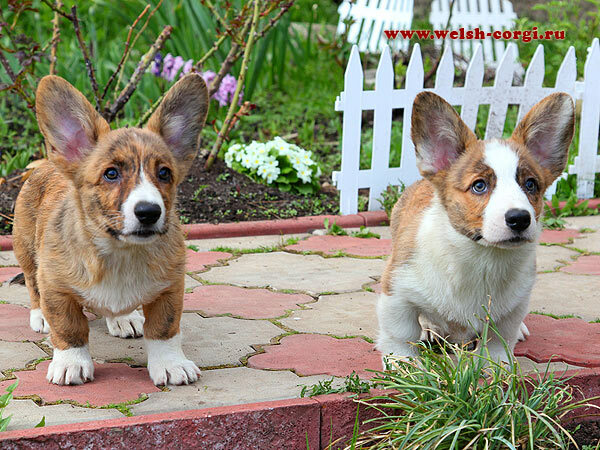 Our congratulations and big thanks to all our puppies who participated today in National welsh corgi speciality in Moscow! 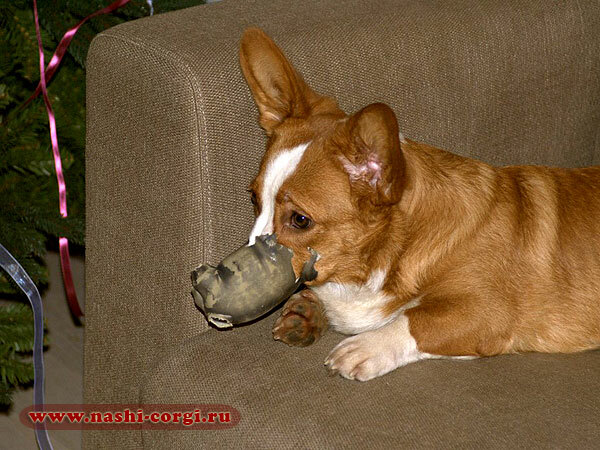 Thank you for the victory in Best Kennel Competition! 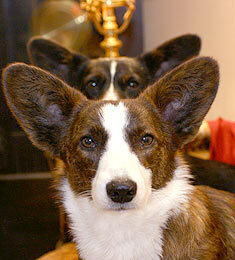 Our thanks to INGRID PRYTZ OHM for good judging of our dogs! 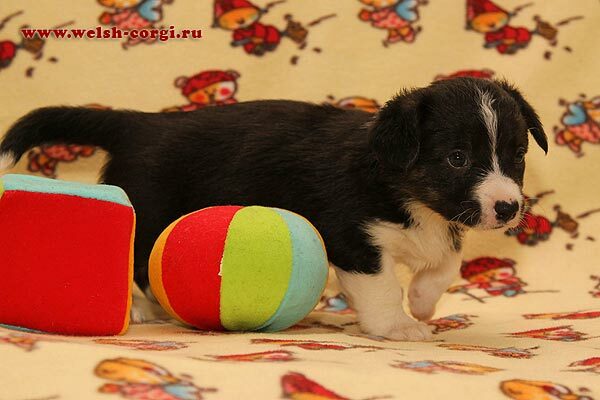 We have new photos of our grandchildren, puppies out ofour Klimentiy (Zamok Svyztogo Angela SIMON) and Iriska (Zamok Svyztogo Angela PILAR) at the age of 33 days! Meet the daughter of our Natan (Rodwell FLASH OF FIRE) and grand-daughter of our Avva, red beauty Emma (Zamok Svyatogo Angela EMMA-O)! 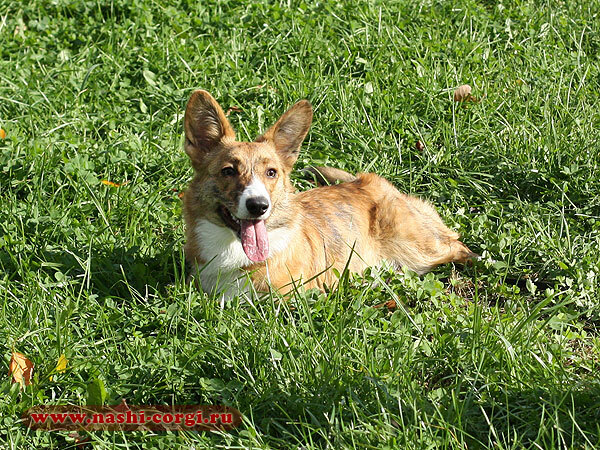 Thanks to her owner Larisa for the nice pictures of the girl! 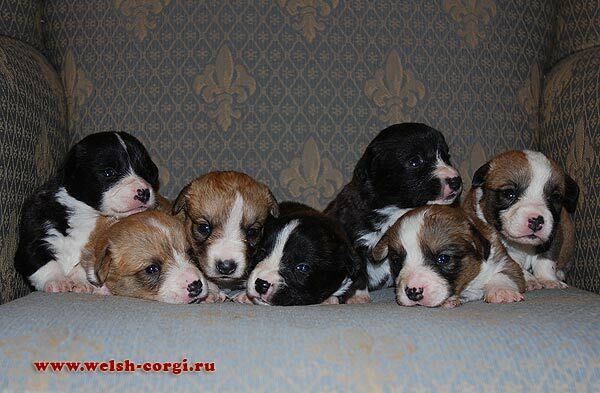 We have the first photos of the puppies of our Klimentiy (Zamok Svyztogo Angela SIMON) and Iriska (Zamok Svyztogo Angela PILAR) at the age of 20 days! We have found a few summer photos of our young father Klimentiy (Zamok Svyztogo Angela SIMON), the son of our Bob and grandson of our Avva. 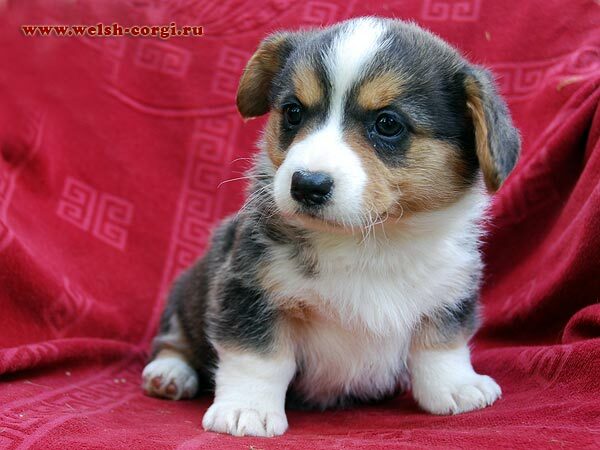 Look at this handsome young man! 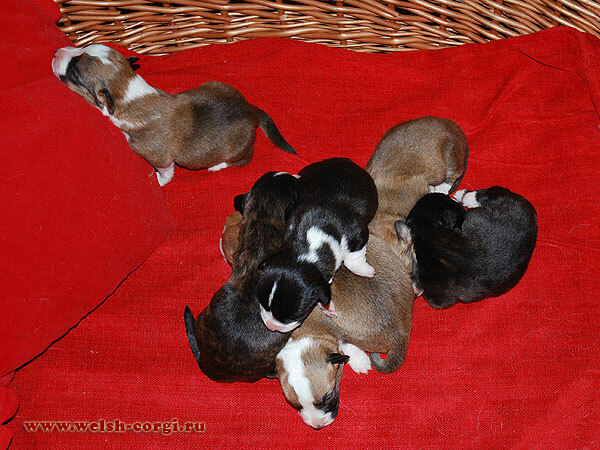 On the 22th of February our grandchildren were born: 3 brindle and 1 tricolor girls and 2 brindle and 1 tricolor boys! This is the first children of our Klimentiy (Zamok Svyztogo Angela SIMON) and Iriska (Zamok Svyztogo Angela PILAR)! Our congratulations to young parents! 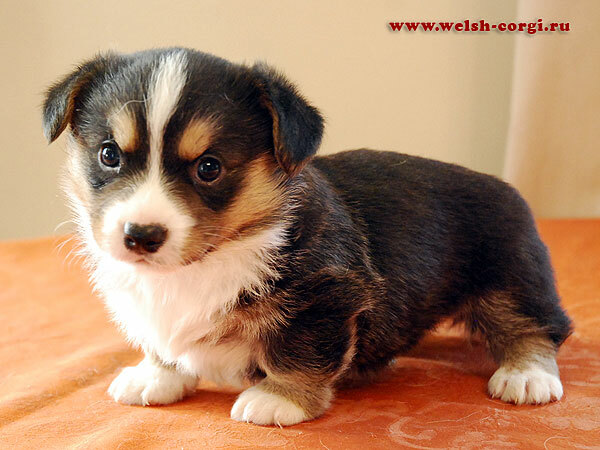 We are waiting puppies to grow. 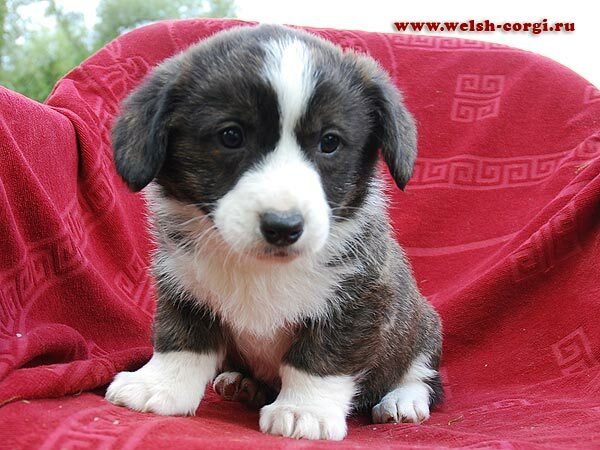 As soon as puppies grow enough we will show their first photos! 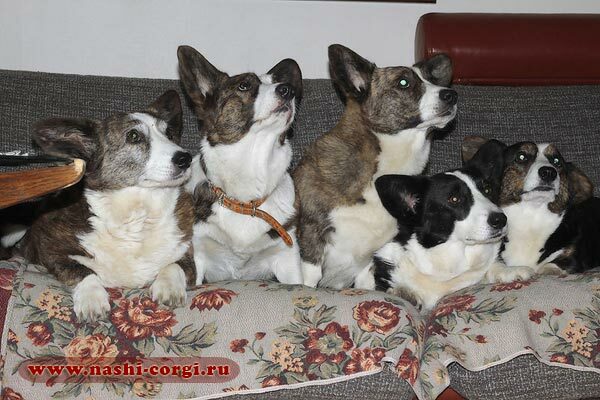 Our congratulations to all our children for super results at welsh corgi speciality in Moscow on 19.02.2012! 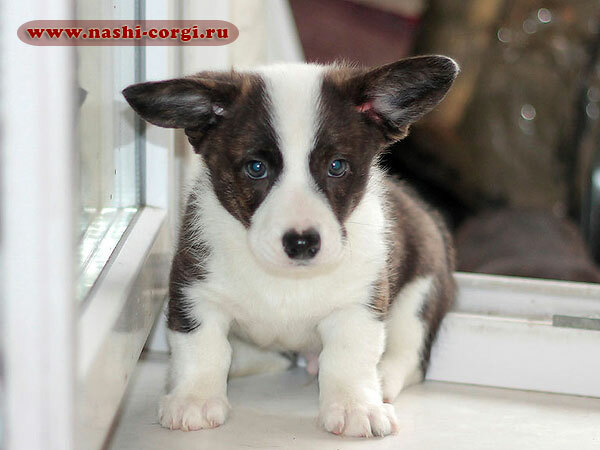 Meet new corgi cardigan at our website — the son of our Zhuzha and Natan handsome young man Frai (Zamok Svyatogo Angela FAVORIT)! 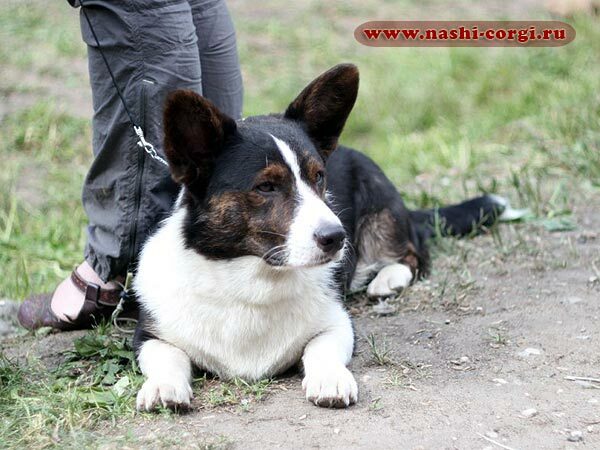 On the 22th of January welsh corgi cardigan Frai (Zamok Svyatogo Angela FAVORIT) passed herding instincts test with the result of 87 points (out of 100), assessment «very good»! Congratulations! There is new member in the family of Prior and Iriska, daughter of our Natan and Natella — beautiful young lady Chana (Zamok Svyatogo Angela CHANDRA)! 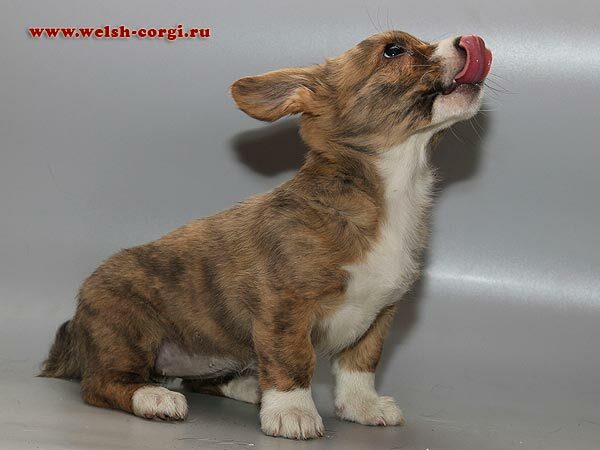 Congratulating our children with excellent results at welsh corgi speciality in Saint-Petersburg! Our congratulations to the daughter of our Zhuzha and Natan brindle girl Zamok Svyatogo Angela HIMMA who has completed the title of Junior Champion of Russia! 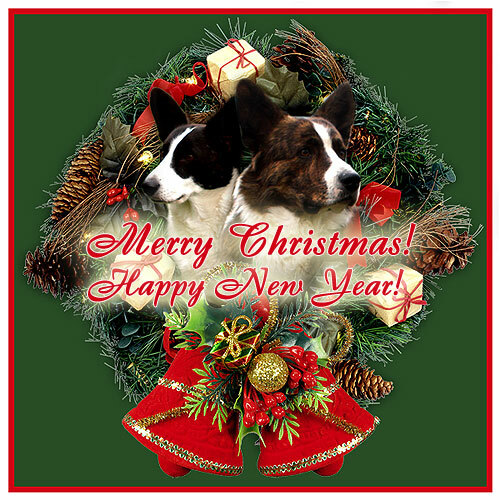 Our congratulations to her owner Julia also! 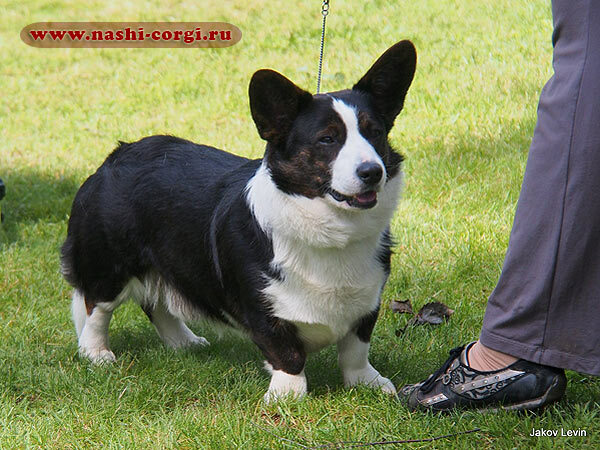 In this months son of our Zhuzha and Natan brindle tricolor boy Zamok Svyatogo Angela HARON completed the title of Junior Champion of Russia! 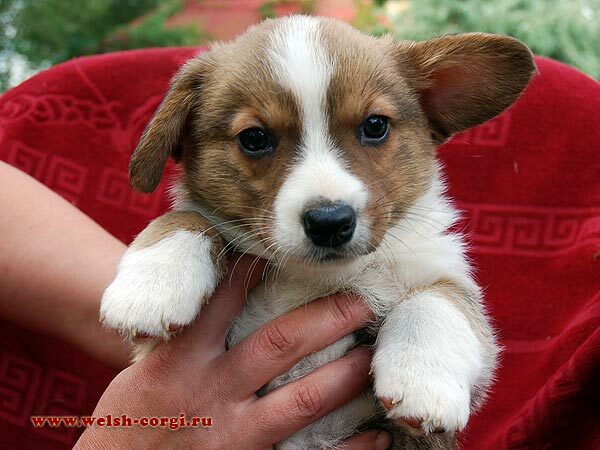 Our congratulations to Ronya and his owners Natalia and Pavel!